A Palestinian man who allegedly killed a 19-year-old Israeli woman in Jerusalem has appeared in court for the first time. 14-year-old Hasan Shalabi who was killed by a bullet in the chest by Israeli sniper fire, was reported to be the grandson of the sister of Hamas leader Ismail Haniyeh, raising alarm over further potential escalation. 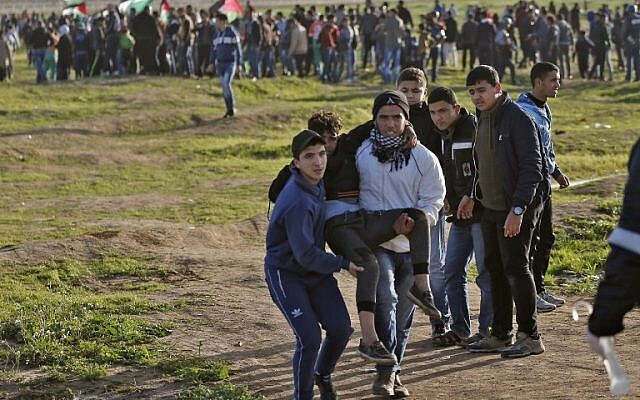 The eyewitnesses said that the demonstrators waved Palestinian flags, chanted anti-Israel slogans and threw stones at the soldiers stationed at the border between eastern Gaza Strip and Israel. Israel says it has no choice but to use deadly force at the protests to defend the frontier from militants trying to destroy the barrier and infiltrate. Dozens of Palestinians have been killed and thousands have been wounded.